The true test of a good recipe is if you can duplicate it. Tonight, my children asked for chili. Specifically, the "best chili ever that you made the other day". So I came here, looked up what I had done, and did it again. This time, adding some firm tofu to the mix for some protein and some texture. 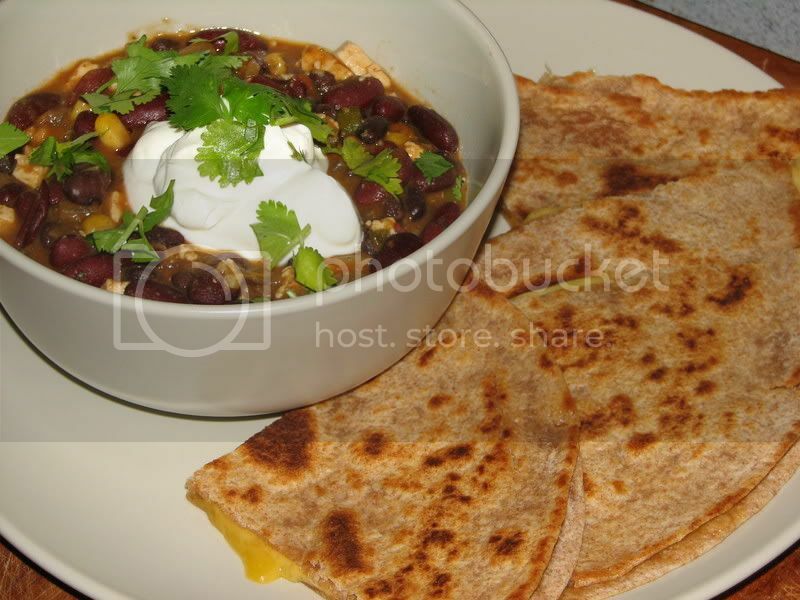 And it was again, the 'best chili ever' sided with WW tortilla quesadillas made with sharp cheddar cheese. You serisously dont taste it a bit. My kids like tofu, but like tofu. Don't try and pass tofu off as meat for them... but add chunks to soup or chilis and they will be all over it. Cyan's favorite soup she calls "tofu soup" which is miso with small squares of tofu in it. Oh yeah, gotta love that miso soup! Do you make it yourself? We love love love the miso soup they serve at our favorite Japanese restaurant. Did I say we love it? Anyway, over the course of the last couple of days I have been on a quest to make miso soup that tastes just like theirs. I'll be working up a post on it soon. My kids haven't eaten a lot of tofu, but they generally like it when they do. The restaurant only puts a little bit of tofu in the soup, but when I made it, I put way more tofu in. It turned out to be too much, lol. It doesn't absorb much flavor in the miso soup, so its pretty bland. When I marinate it, they like the tofu a lot more. 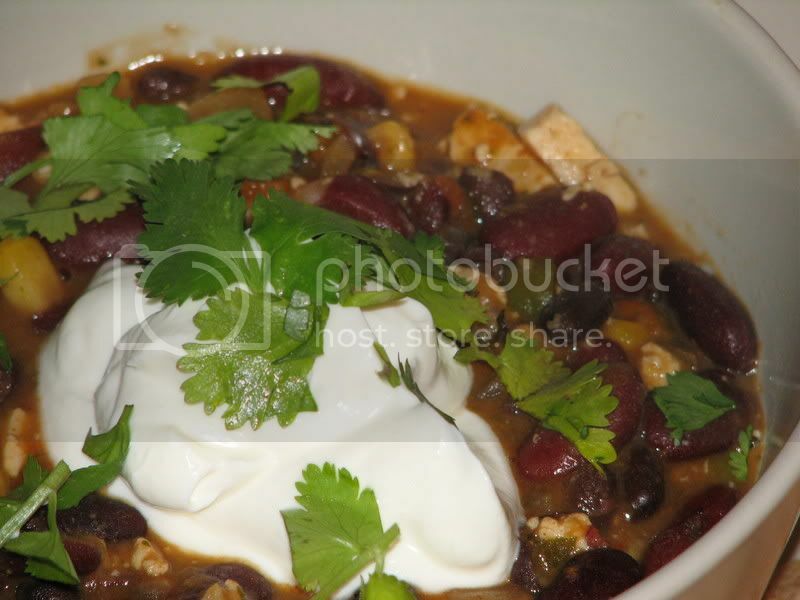 Dylan saw the picture of your chili and said "Mom, did you make that? It looks good!"